Above: Architexture, by Ines. 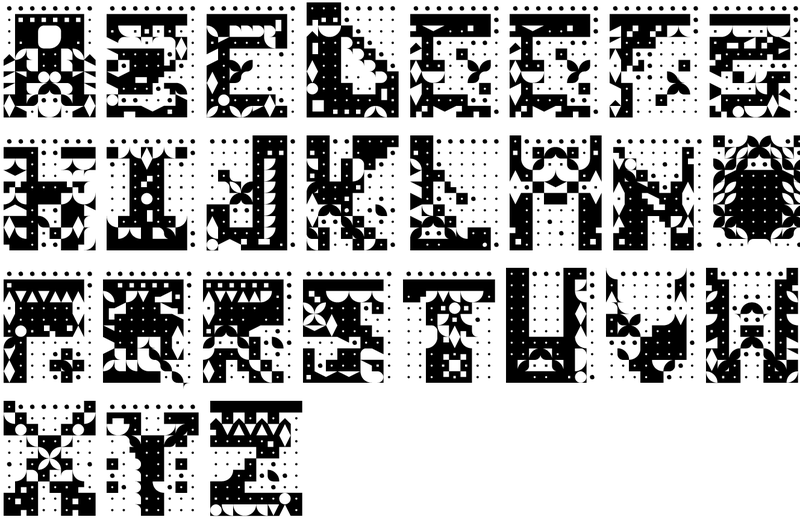 On November 5th, 2008, our level one typography class launched a modular font project via Fontstruct, where each font was also assembled and prepared. Special thanks to Ines for bring the apple cider champagne! Tja, Verena, leider kein Kasten Bier! Typonauten! Good luck in space! Here is a link to the original Typonauts at BVR! Hola, amigos! Above: Squircle, by Jack. 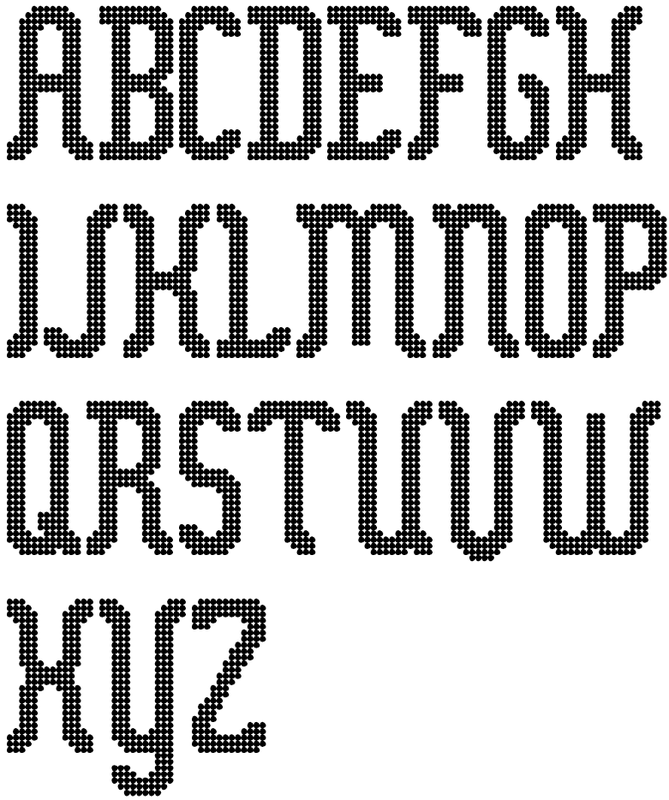 Complete character set, including diacritics. below for a free download. 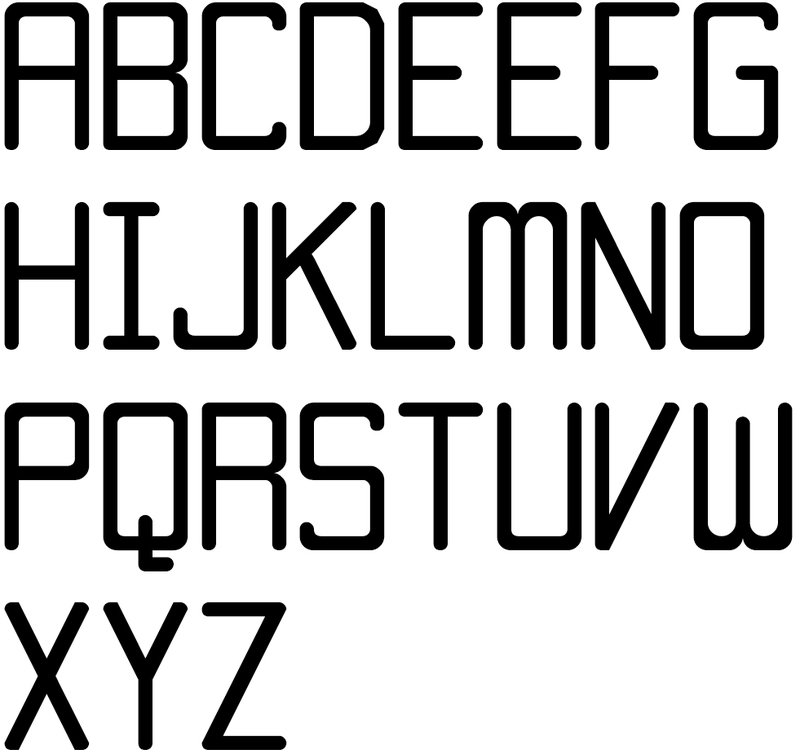 of these fonts via Fontstruct. More on the way, check back for updates soon. Super excited for Type 2 with Erik Brandt! Has it really been since '08? This entry was posted by Erik Brandt on Thursday, November 6th, 2008 at 10:55 AM	and is filed under Aktuell, Education, Globalization, Graphic Design, International, Minneapolis, Musica Viva, Typografika, Typography.